Overcast skies could be found throughout the almond-growing region in California on Wednesday as the first of two storms forecast to sweep across the state came on shore. Light, scattered showers began early in the morning, accompanied by winds of 5 to 15 mph. However, the intensity of both increased dramatically at the end of the day, with winds reaching 20 – 30 mph after sunset. Temperatures were quite stable during the day, with morning lows dipping only into the mid 40’s to lower 50’s and afternoon highs rising only into the upper 50’s to mid 60’s. Bee activity was reported as generally poor through the entire region due to the impact of the storm. Butte and Padre plantings across the Sacramento Valley were at or near their peak bloom. Butte is running on average slightly ahead of the Padre and has moved just beyond its peak bloom, while the Padre was hitting its peak as the storm arrived. Previously peaked Nonpareil and the California type varieties, along with the Carmel and Monterey were all casting petals to the winds. However, observers also noted that some varieties, most notably the Carmel, were holding out surprisingly well against the winds during the daylight hours, but it remains to be seen how well they faired through the more violent conditions after sunset. 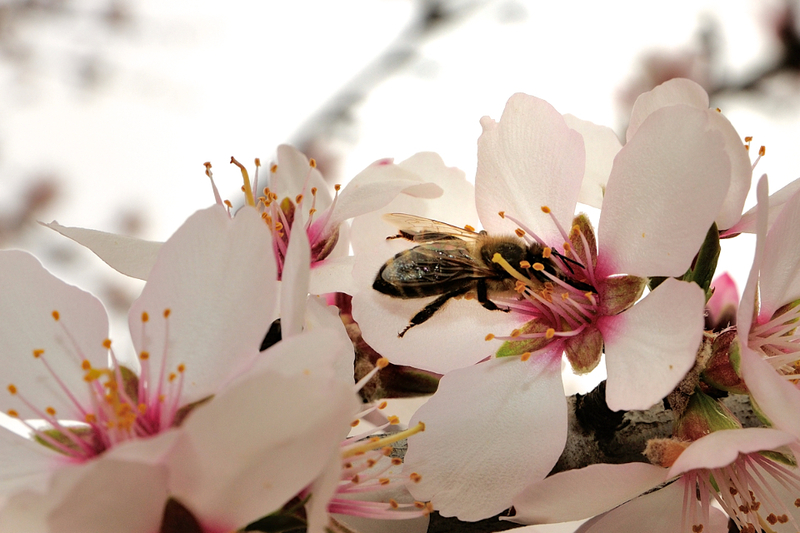 To the south, the bloom of the Nonpareil and California type varieties, as well as the Carmel and Monterey all declined sharply on Wednesday in the face of pressure from the stormy conditions impacting the southern San Joaquin Valley’s almond orchards. More rain is forecast for the region on Friday.